Fulton Avenue was one of the main thoroughfares in the historic district of Lamasco, which merged with Evansville in 1857. Although streetscapes have been altered over the years, traces of Lamasco’s past continue to linger. 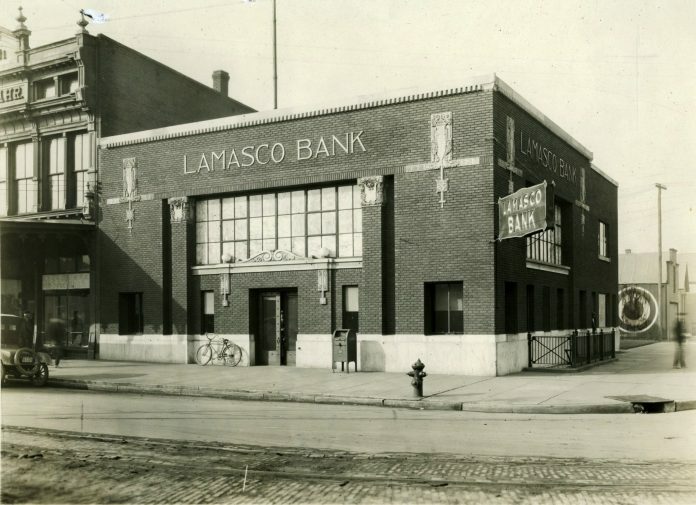 One example is the Lamasco Bank building, a familiar sight on the southwest corner of Fulton and Franklin, which was erected in 1919.